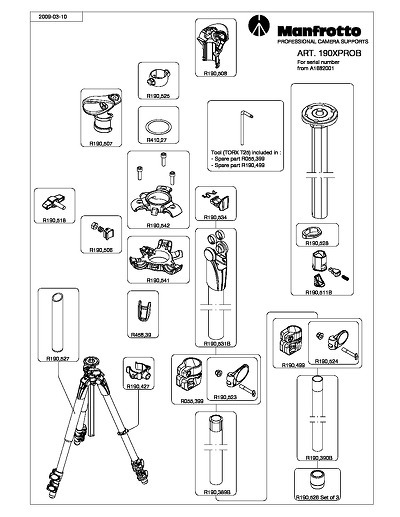 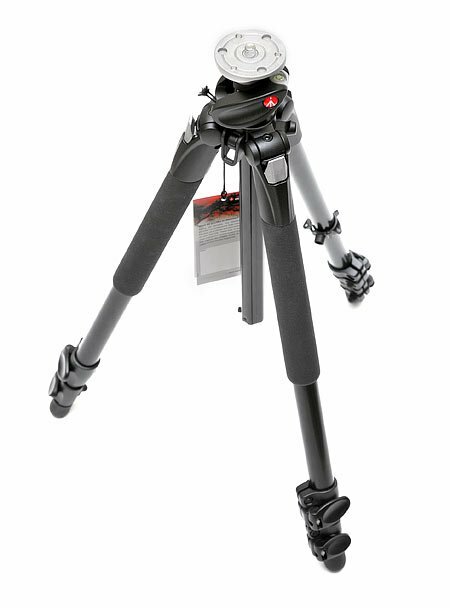 Use this drawing for tripods with a serial number up to A1588573. 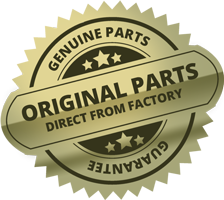 Use this drawing for tripods with a serial number between A1588573 and A1682001. 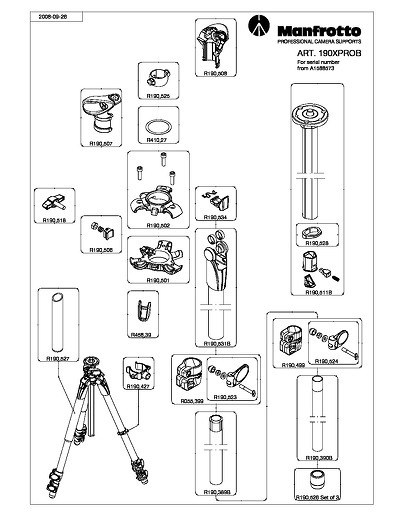 Use this drawing for tripods with a serial number greater than A1682001.